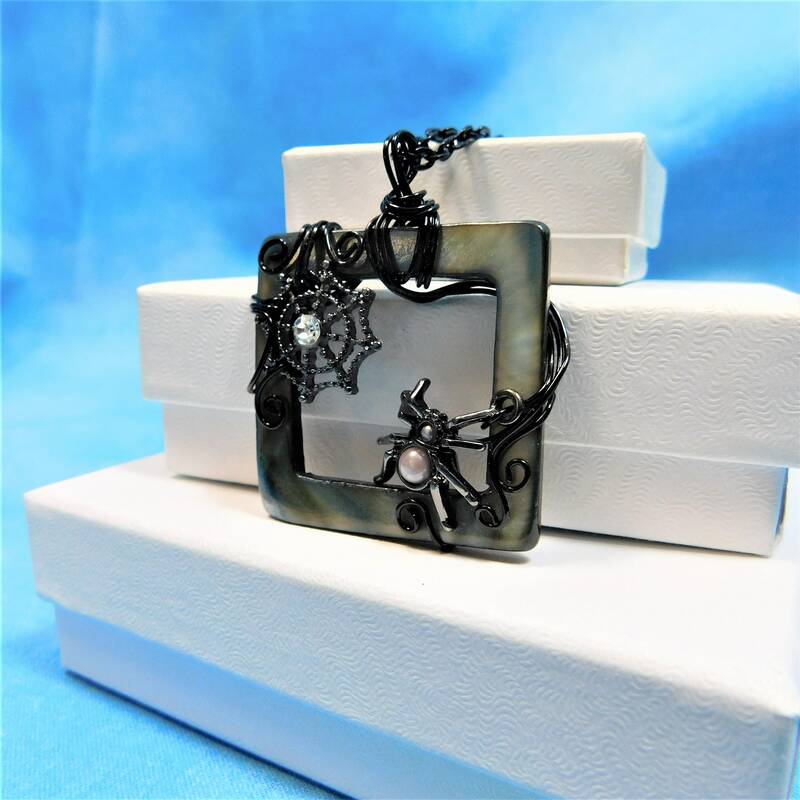 A tiny spider awaits it's prey in the corner of a dusky gray mother of pearl shell frame. 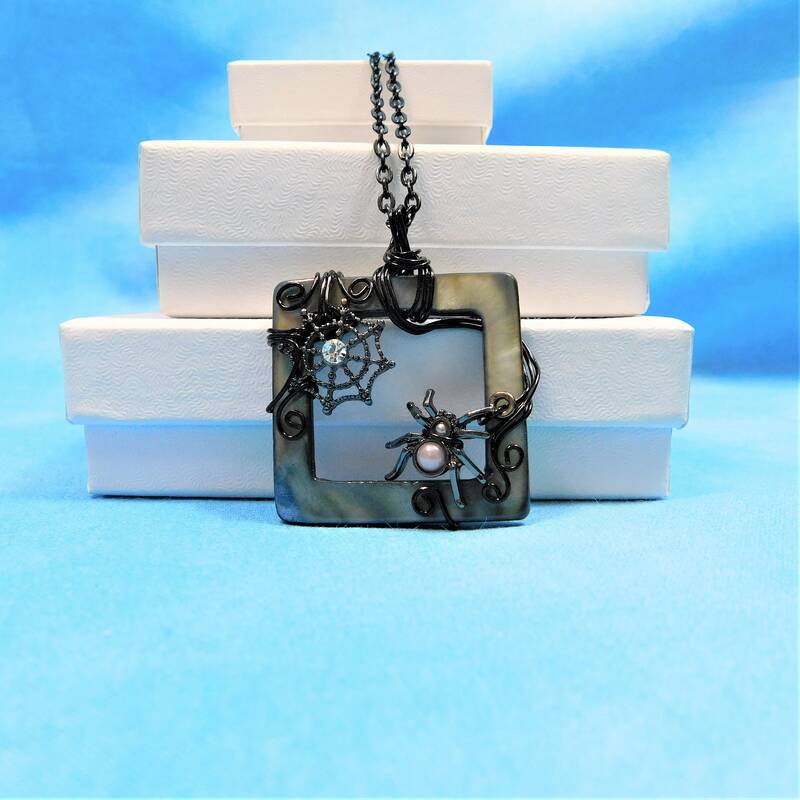 The web, with a tiny bit of bling, rests in the corner of the shell. 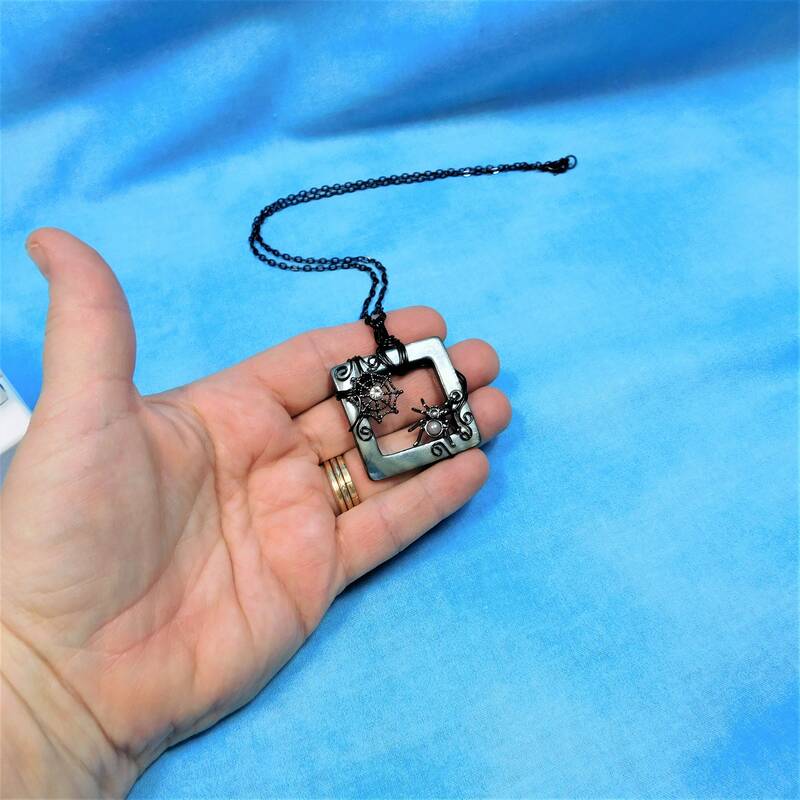 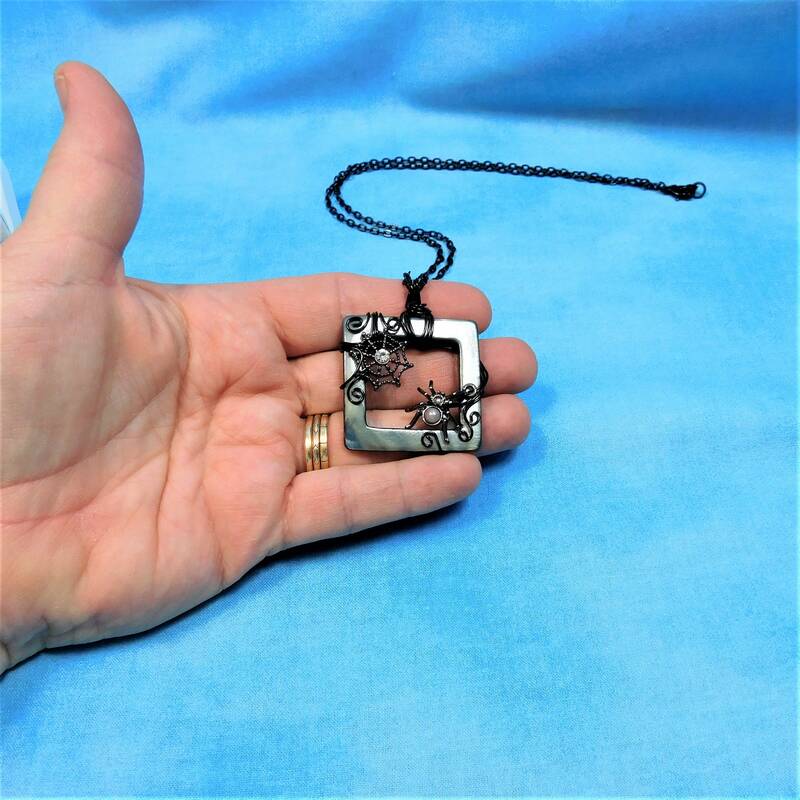 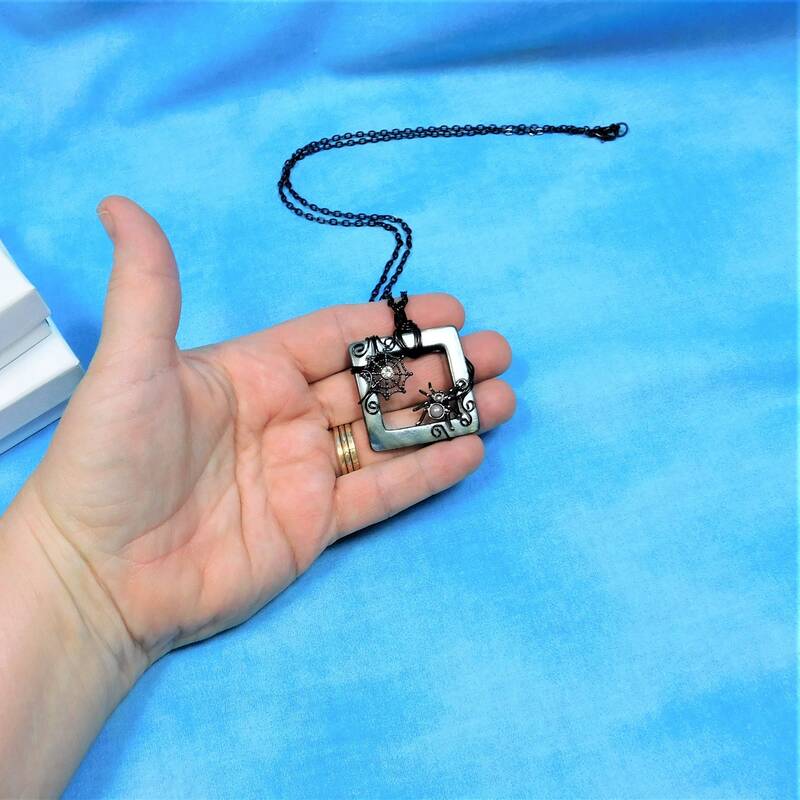 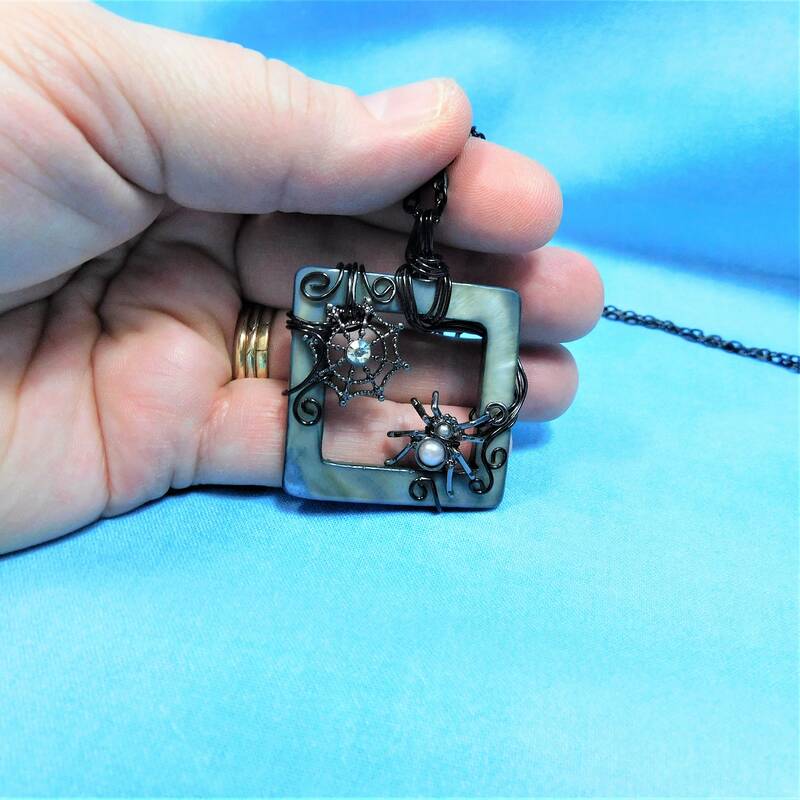 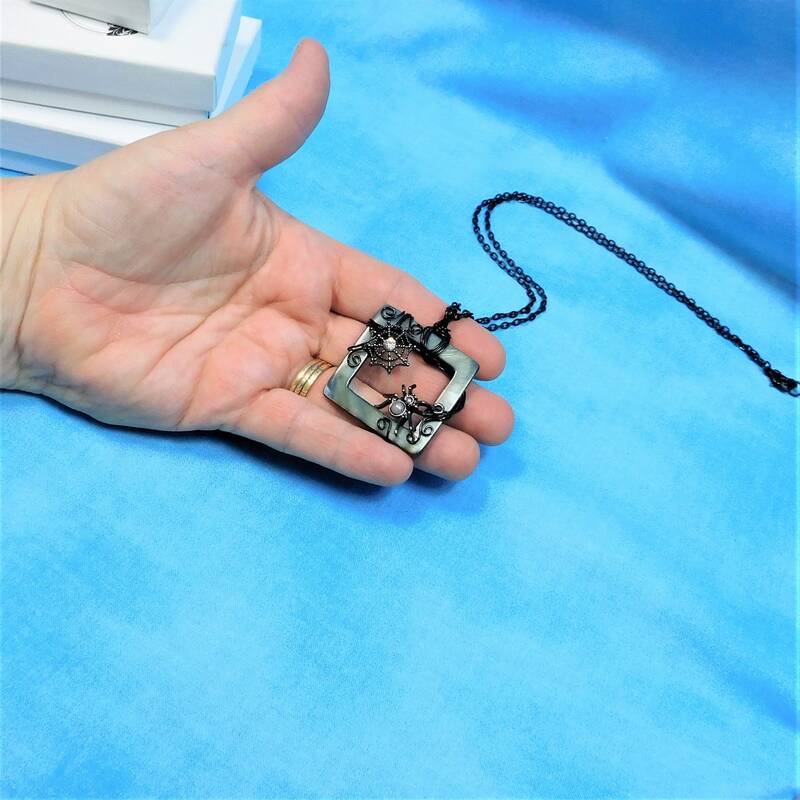 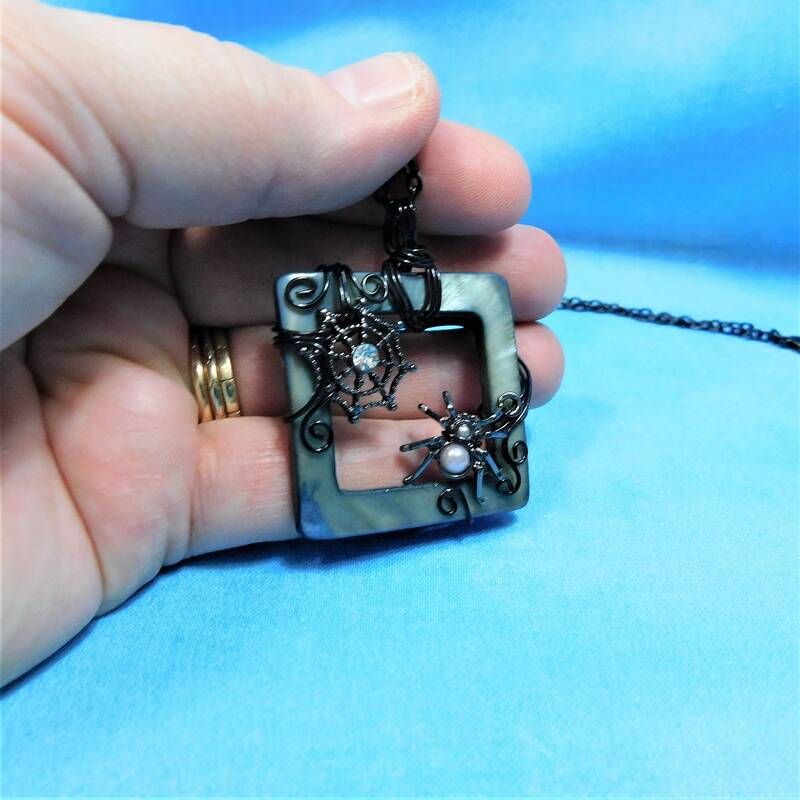 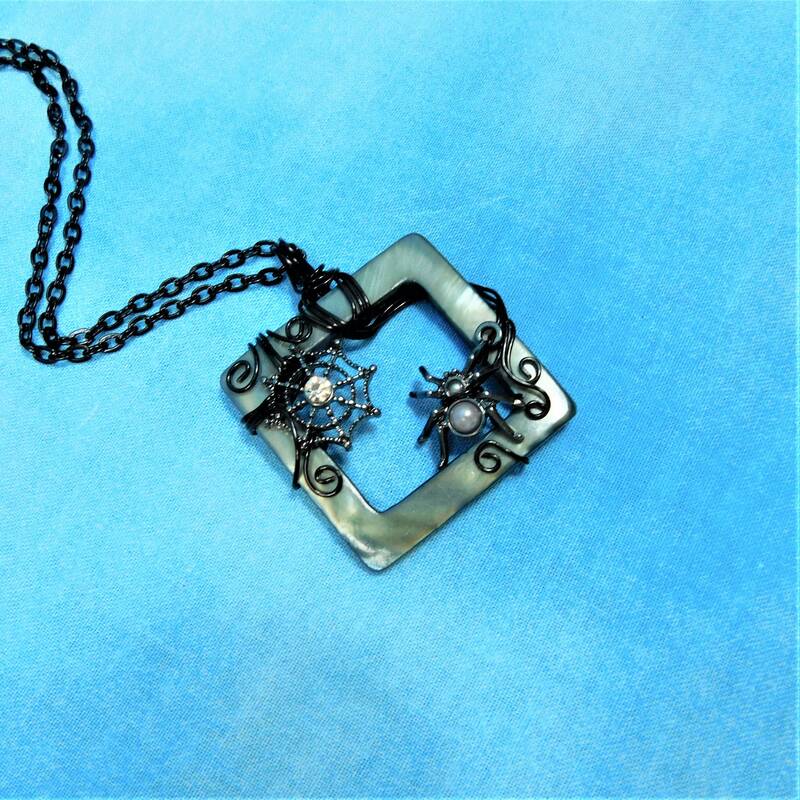 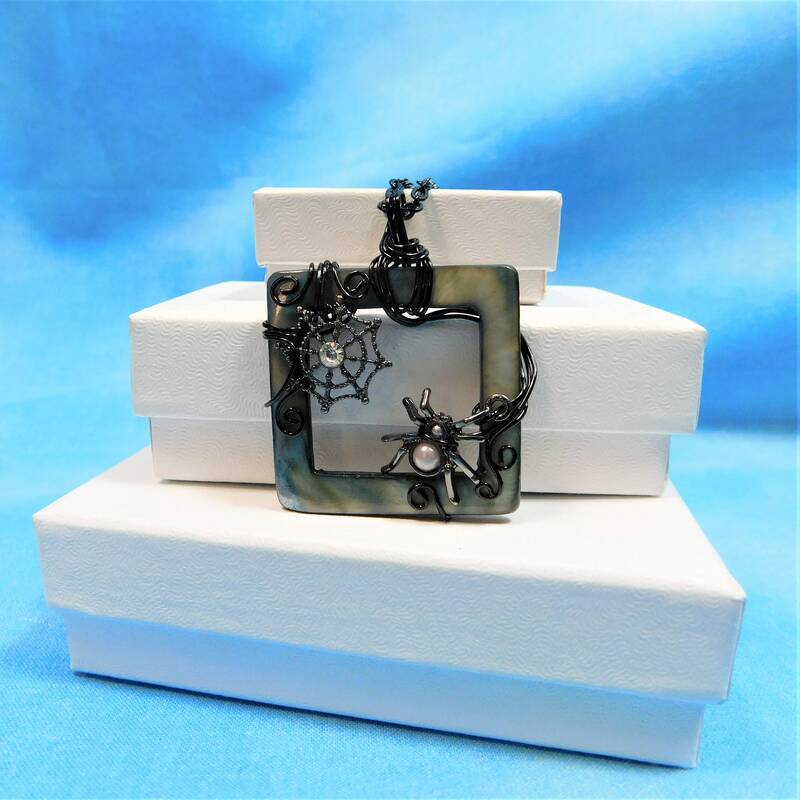 The pendant measures 1.5 inches by 1.5 inch, and comes with a FREE coordinating chain with lobster claw clasp, measured to your preferred length.